The Suzuka International Racing Course, or Suzuka Circuit for short, is a motorsport racing track based in the city of Suzuka, in Mie prefecture, in the south-west of Japan. Originally, Suzuka was built as a Honda test track in 1962 by John Hugenholtz and is one of the few circuits in the world to have a ‘Figure 8’ with an overhead intersection layout. It was the first racing course in Japan meeting international standards, and the first one to have a capacity of 155.000 seats, although it was later reduced to 100.000. The Suzuka track, with a length of 5.8 km, is touted by drivers and fans as one of the most popular. 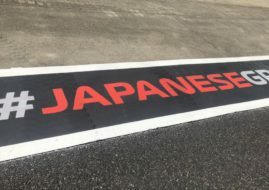 This doesn’t come as much of a surprise as Suzuka is one of the oldest remaining Formula 1 tracks, and even though it was dropped from the calendar in 2007 and 2008 in favor of the Fuji Speedway owned by Toyota, it was later re-installed. Suzuka circuit has been modified three times and currently has three configurations – Full Circuit, Suzuka West and Suzuka East. The East part of the course consists of the pit leading straight to the first half of the Dunlop curve (turn 7), before going back to the pit straight via a tight right-hander. The West course is made up of the other part of the full circuit, including the crossover bridge, the straight leading to the overpass which is used for the start/finish line, and the grid. 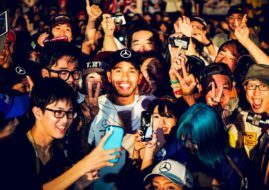 Except F1, Suzuka is a host of many other races and competitions like WTCC, Super GT, Super Formula and many Japanese national racing series. The fastest lap record (1:31,540) was set in 2005 by Kimi Raikkonen, the driver of McLaren at the time. The Finn then made one of the most memorable victories as he had started from the 17th position. The McLaren team has the most wins at Suzuka (8), Ferrari has seven while Red Bull Racing celebrated on four occasions. The most successful driver is Michael Schumacher with six victories, Vettel won four races in Japan, while in the group of drivers with two wins at Suzuka, until the end of 2015, are Lewis Hamilton, Gerhard Berger, Damon Hill. Ayrton Senna, Mika Hakkinen and Motoharu Kurosawa. The accidents that have occurred at Suzuka have mostly included cars (ten, one involving the safety car), although motorcycles (seven) have also been involved. There were as many as seventeen people who were victims of the crashes and all of them were Japanese professional racers, with the exception of the safety car incident in 1996 when NASCAR official and safety car driver Elmo Langley suffered a heart attack during safety car runs for the NASCAR exhibition racing event and stopped in the S-Curve. The Formula 1 four years back–to-back champion Sebastian Vettel once said that Suzuka is one of his favorite tracks, describing this ‘old-school’ track saying: “I think Suzuka Circuit is totally fantastic. It must certainly have been designed by God”. 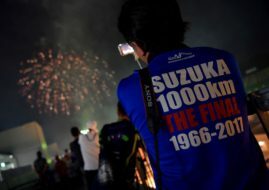 Suzuka Circuit has also been engaged in promoting motorsports culture. As part of this effort, a racing school was established to nurture drivers and riders able to compete at an international level. The amusement park called Motopia offers a diverse range of driving entertainment for children. This is based on the corporate vision of cultivating future fans and promoting car culture in Japan. Suzuka circuit also provides an environment and services worthy of a resort, with a quality hotel and restaurants. Photo: flickr.com, wikipedia.org, richlandf1.com, f1fanatic.co.uk, japantrave.com.